The installation Hotel Solidão consists of two mirror walled cubes, one placed inside the other. On entering the space, the viewer discovers seemingly endless corridors and passages of reflections, various layers multiplying one’s own image and surroundings. 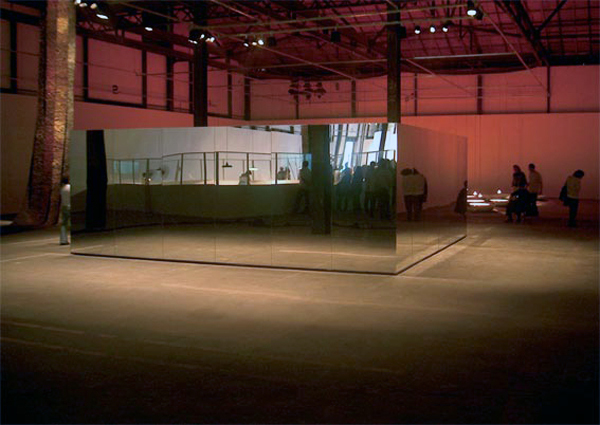 The second, smaller cube presents the visitor with a modification as the cube is covered with one-way mirrors (as used for surveillance). 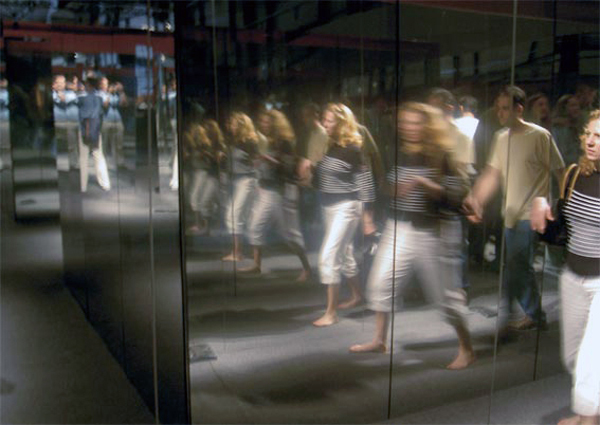 Thus, it permits the viewer to see through the mirror and observe the visitors passing through the corridors of the first, larger mirrored space. 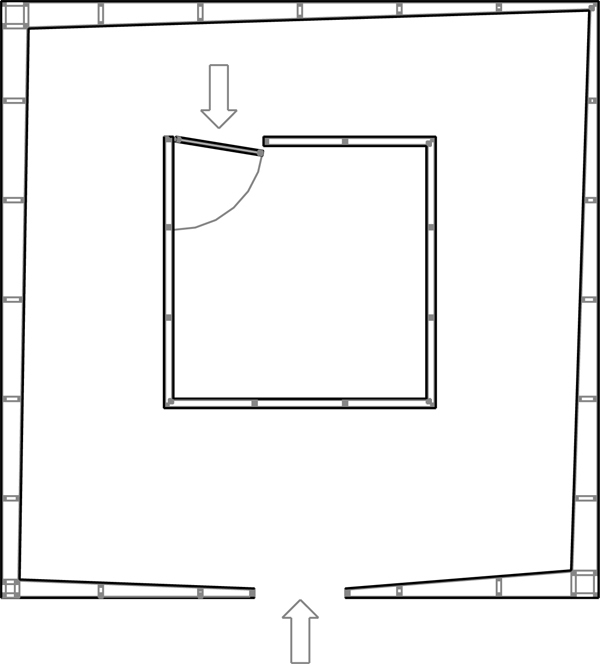 In addition, hidden microphones transmit any voices from the inner to the outer room, linking the internal and the external, suggesting an interaction and change of perception for the visitor. The central question of the work is the relationships between the individual, the other and the space. The title refers to the hotel as a contemporary phenomenon of passage and of transitory identities.